Newcomer Family Obituaries - Marian Frances Van De Ryt 1944 - 2019 - Newcomer Cremations, Funerals & Receptions. 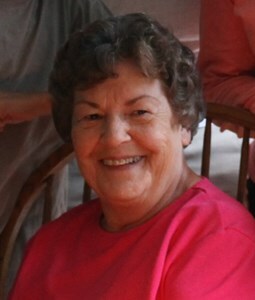 Van De Ryt, Marian Frances age 74, of Cheviot, Ohio passed away on Sunday, February 10, 2019. She was born in Cincinnati, Ohio on September 12, 1944 to Edwin F. and Frances Van De Ryt (nee Bollhauer). She was preceded in death by her parents; brother, Robert E. Van De Ryt. Marian is survived by the love of her life, John "Jack" Von Derhaar; her sister-in-law, Angela Van De Ryt; her nieces, Lorelei M. Kunkel and Denise L. (Mike) Pangallo; her great-nieces and great-nephews, Logan, Olivia, Austin, Gabrielle, Koby, Michael and Samuel; and a host of other family members and friends. In loving memory of Marian, contributions may be made to, St. Jude Children's Research Hospital, 501 St. Jude Place, Memphis, TN. 38105-9959 or to St. Aloysius Gonzaga Catholic Church - Tuition Fund, 4366 Bridgetown Road, Cincinnati, Ohio 45211 . Visitation will be held on Thursday, February 14, 2019 from 8:30am until 9:30am at Newcomer Funeral Home - West Side Chapel, 3300 Parkcrest Lane, Cincinnati, Ohio 45211. Mass of Christian Burial will follow at 10:00am at St. Aloysius Gonzaga Catholic Church, 4366 Bridgetown Road, Cincinnati, Ohio 45211. To share a memory of Marian or leave a special message for her family, please click the Share Memories button above. Add your memories to the guest book of Marian Van De Ryt.